Stand up to the elements in style. This chic women's lace-up ankle boot from the Clarks® Artisan collection is crafted from premium waterproof leather in classic black with a leawood stacked heel. An Active Air® footbed adds cushioning underfoot. 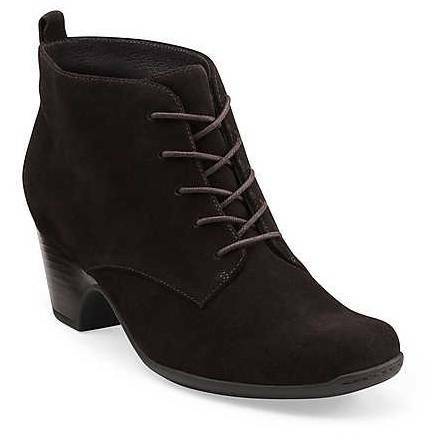 Never compromise fashion sense with this stylish waterproof women's boot.